The Cabot Trail’s beauty continues as you make the loop around on the west side. 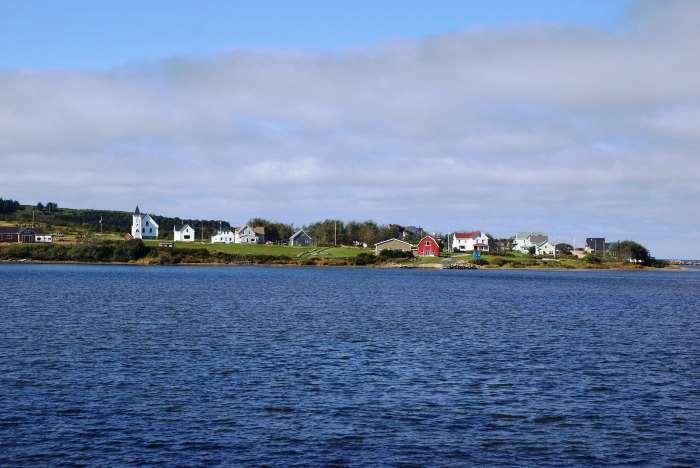 Over here, you’re on the coast of the Gulf of St. Lawrence, and you’re unquestionably in a French-speaking area. Suddenly, most of the radio stations on your dial are French, and the whole area takes on a slightly different feel. Cabot Trail leaves Cape Breton National Park at Chéticamp and continues south to Margaree Harbour, then turns inland to form a loop. 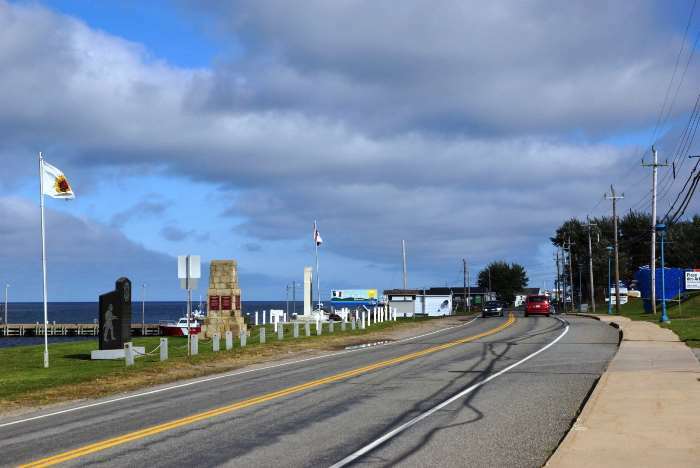 If you continue down the coast at Margaree Harbour, you’ll be on Route 219, and eventually Trunk 19, which will take you back to the Canso Causeway and mainland Nova Scotia. 219 and 19 are known as the Ceilidh Trail, another scenic byway. My goal for Day 8 was to travel a great distance — I needed to get from Pleasant Bay, Nova Scotia to Moncton, New Brunswick, a distance of about 500 kilometers. That’s a long drive when you’re following scenic two-lane roads. As a result, I didn’t make a lot of stops, but you can see it all on the Drivelapse video, further down the page. … just across the street from the waterfront. 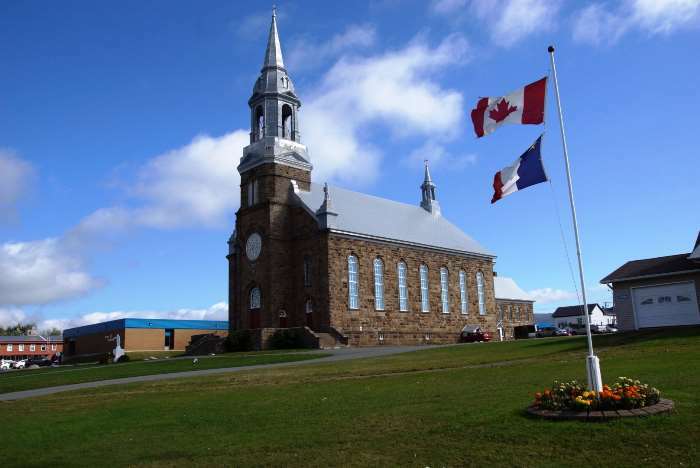 Most of Chéticamp is laid out in this fashion — with businesses on one side of the Cabot Trail, and the water on the other. Unfortunately, I didn’t have time to drive out to Chéticamp’s lighthouse at Enragee Point (on the island that’s just offshore from the town). I’ve read that the road is bumpy but the views of the lighthouse and the coast are excellent. About 20 minutes south of Chéticamp, I came upon another fantastic stretch of coastline at Cap Le Moine. You can drive off the road and out to this viewpoint. … and you arrive at Margaree Harbour. A handful of homes, and of course a church, are lined up on the south side of the Margaree River. The Cabot Trail crosses the Margaree River, then you reach an intersection. This is where the Cabot Trail turns inland, and the Ceilidh Trail begins. 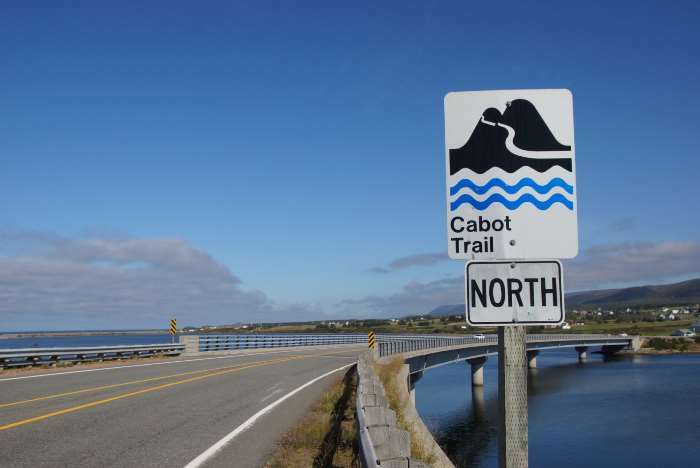 If you’re headed back to the mainland, it may be slightly quicker to follow the Cabot Trail to TCH 105, but I chose to stay along the coast and follow the Ceilidh Trail (Route 219). 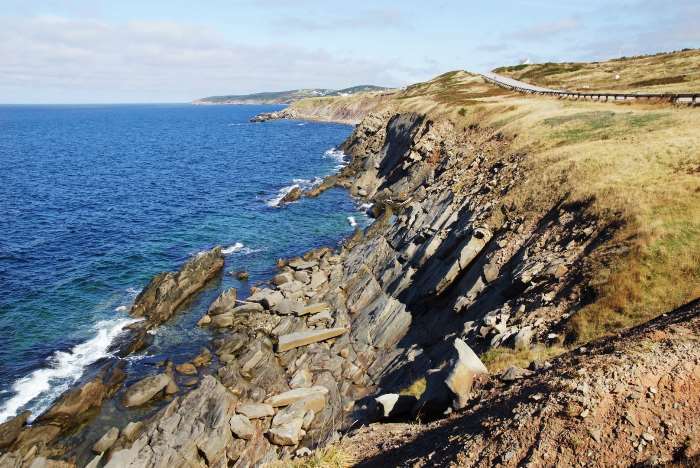 Take your time and enjoy the drive along this portion of the scenic Cabot Trail.